Observation - Flat fungus - UK and Ireland. 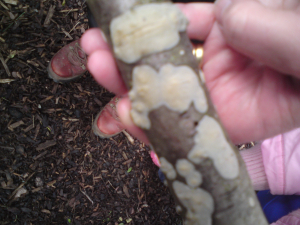 Description: Flat, thin beige fungus found on dead wood. Sorry it's a bit out of focus! Flat, thin beige fungus found on dead wood. Sorry it's a bit out of focus!